The Two Noble Kinsmen supplies another portrait-in-miniature of Shakespeare’s role as dramatic author, so strange and so shifting when compared to our own notions of authorship. 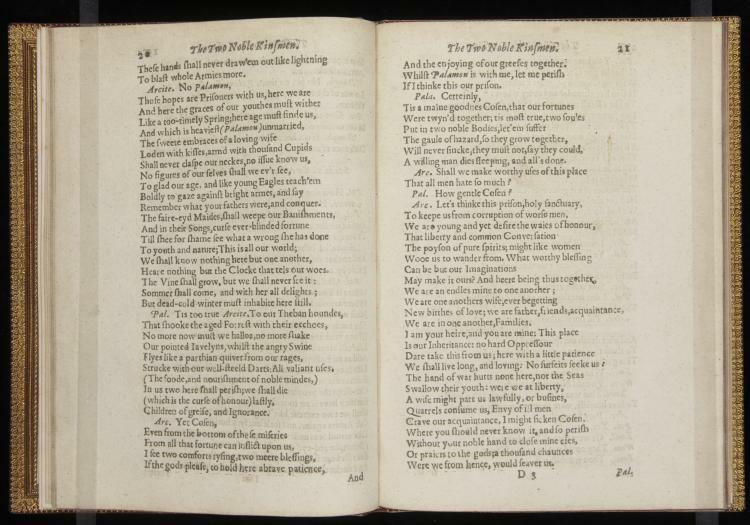 When printed, plays tended to boast one author as their source–but this was not the only way to compose a play. In fact, Shakespeare may have been exceptional in the authorial control he enjoyed over his plays, though he was never so outspoken about it as his contemporary Ben Jonson. For Shakespeare, it would seem, that model of authorship so vociferously advocated by Jonson–in which each words distills some essential component the writer’s personality–was not so strict as to prevent writerly efforts of more relaxed control, when one author collaborated with one or several more, each writer taking responsibility for a scene, a set of scenes, or a few distinctive parts. In The Noble Kinsman we find one example of just such a porous, collaborative model of how to put a play together. Notice the advertisement on the play’s frontispiece: “Written by the memorable worthies of their time, Mr. John Fletcher and Mr. William Shakespeare, Gent.” The doubleness of the source, in which Shakespeare and John Fletcher share the task of writing, contrasts with other printed plays featured thus far in Shakespeare at Yale, in which Shakespeare’s name gradually expanded and crept its way to the center of the page. There is something fitting to this particular distribution of authorial efforts, since Fletcher would prove himself to be the King’s Men’s successor to Shakespeare–but it was a succession that, revealingly, almost always occurred in the form of collaboration. For all the many plays we can find written by John Fletcher, we can find just as many co-written by Fletcher and his colleague and contemporary, Francis Beaumont. England’s Renaissance was full of writers, but it was just as flush with co-writers. To be a writer in Renaissance England may even have meant, in a deeply powerful way, to be always a co-writer. Cute thoughts. Ability to prove, none. Two Noble Kinsmen started out in 1566 as Palomon and Arcite, a derivative work taking its impetus from Chaucer. It was played before the Queen at Cambridge, she supplying actual royal capes and wardrobes for the occasion. It was the author’s first effort in a college setting, with language repeated in TNK and traceable back to Edward de Vere, 17th Earl of Oxford. Jonson made reference to it in 1613, (Bartholomew Fair, Act 4) long before it showed under Fletcher’s co-authorship in 1634. The romantic subplot doesn’t fit with the original drama. Methinks you have the wrong story, wrong chronology, wrong author. it is much more likely that Fletcher picked up one of Oxford’s rough early plays and tried to make it work. It didn’t. William: Ability to prove, none, indeed. The 1566 Palamon and Arcite is lost, and in any case it was attributed at the time not to Oxford but to Richard Edwards. (You can look this up in the Oxford Dictionary of National Biography, http://www.oxforddnb.com.) Beyond that, one hardly needs to invent an elaborate history to connect Chaucer to the 17th-century stage: A Midsummer Night’s Dream anticipated The Two Noble Kinsmen in using The Knight’s Tale as a source. 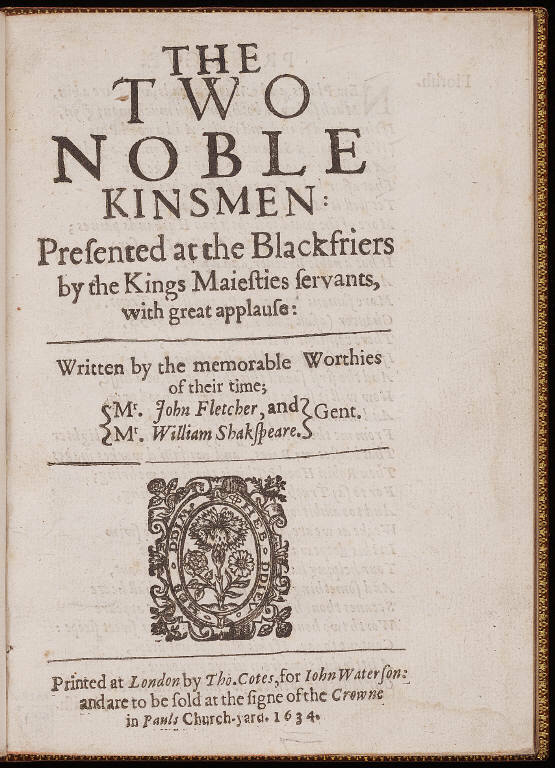 Fletcher is known to have been working with the King’s Men by 1613, and Bartholomew Fair’s 1614 mention of Palamon is therefore likely a reference to a recent production of TNK. Thanks for the response. No, not all of Palomon and Arcite was lost. Emilia’s Song was not, and it is a dead ringer for the vocabulary used in Oxford’s “A Crown of Bays”, written at about the same time. There are other references in honoraria that indicate a new playwright of great ability, writing alone. 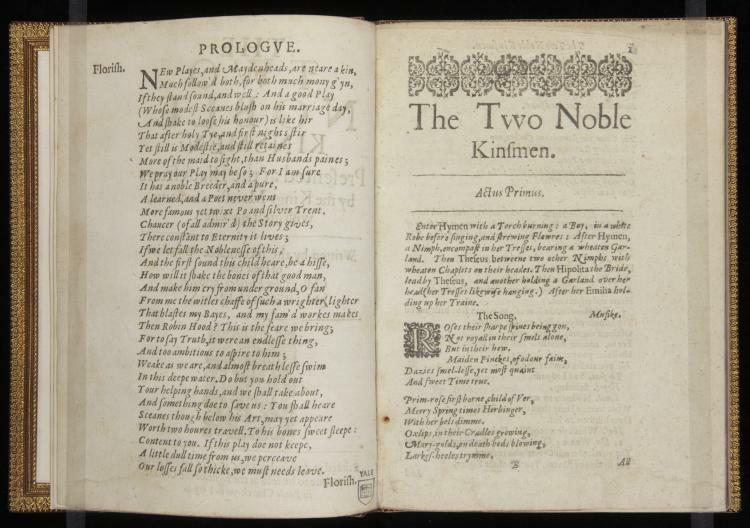 Edwards had written a similar kinsmen play, so this one would have been a repeat of themes; and in a collection of his plays this was not included although it received great popular acclaim after the Cambridge University performance. Anyway TNK played in 1594, before Fletcher’s career. 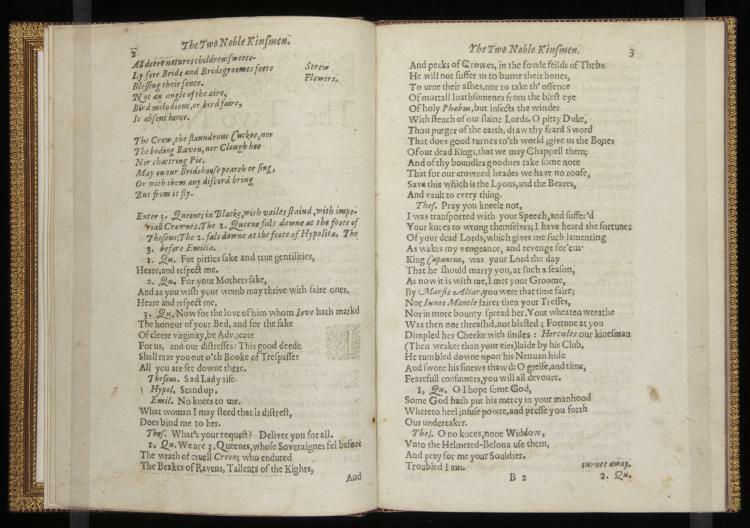 The Jonson ‘Palomon’ reference was in relation to Daniel’s Arcadia (1605), again before Fletcher. And the DNB article was written by Alan Nelson, a vitriolic hater of Oxford. He knows nothing of the history.